(a)ln thc opening clause indicating eligibility, for the words and figures “whose basic pay and dearness pay taken together does not exceed Rs.7. 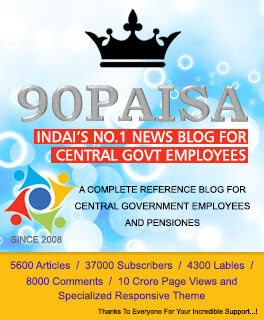 500 (Rupees Seven thousand five hundred) per month”, the words and figures “whose grade pay does not exceed Rs.2. 800/- ( RupeesTwo thousand eight hundred)”. shall be substituted. (b) In proviso (i) relating to amount of advance admissible, for the words “shall not exceed Rs.l .500 ( Rupees One thousand five hundred)”, the words and figures. “shall not exceed Rs.3000/- (Rupees Three thousand)”, shall be substituted. (c) Proviso (iii) relating to recovery of interest has been deleted. In Rule 35 relating to amount of Warm Clothing Advance admissible, for the words “shall not exceed Rs.l,5001- (Rupees One thousand five hundred)”, the words and figures, “shall not exceed R.s.3,000/- (Rupees Three thousand )“, shall be substituted. Rule 38 relating to recovery of interest has been deleted. In Rule 53. in clause relating to ehgibility for Festival Advance, for the words and figures basic pay and dearness pay taken together does not exceed Rs.l2,450 (Rupees TWelve thousand four hundred and fifty) per month”, the words and figures” whose Grade pay does not exceeds Rs.4800/- (Rupees Four thousand eight hundred)” shall be substituted. In Rule 58 relating to amount of Festival Advance admissible, for the words “shall not exceed Rs.l500 (Rupees One thousand five hundred)”, the words and figures “shall not exceed Rs.3.000/- (Rupees Three thousand )“. shall be substituted. In Rule 66 relating to amount of Natural Calamity Advance admissible, for the words “shall not exceed Rs.2,500/- (Rupees Two thousand five hundred)”, the words and figures” shallnot exceed Rs.5.000 (Rupees Five thousand)”, shall be substituted. Note: I Rule 38F A- 38F relating to Table Fan Adance deleted. 7. Hindi version of this O.M will follow.